We approached the Centre Pompidou to find hundreds of people waiting in the rain for this show. We ducked into a cafe to wait it out over a few glasses of good vin rouge. 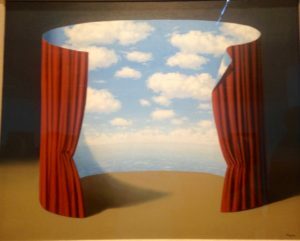 Finally, we realized that the line was not going down and that we had better come back the next day. To our surprise the lines were just as long the following day, so we cued up. The show proved to be well worth the wait. 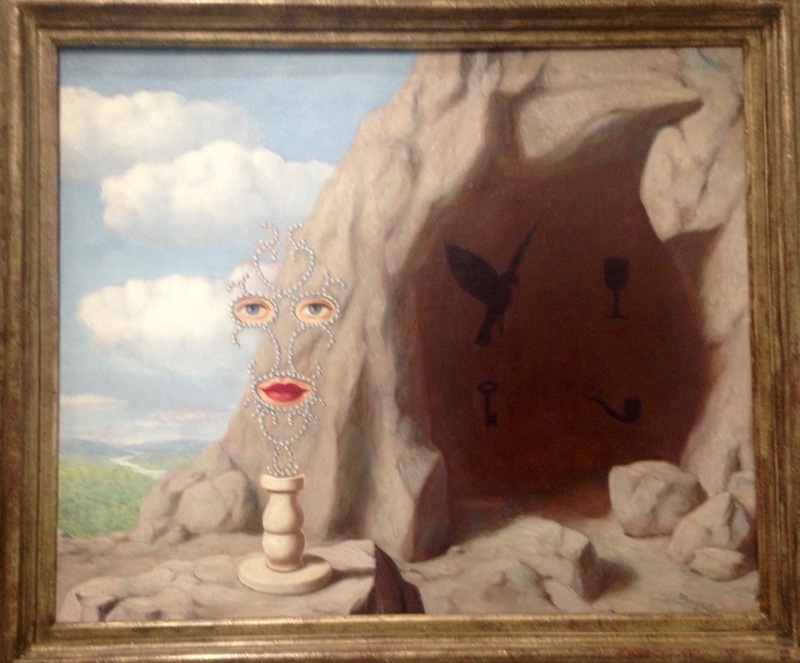 The exhibition was a gathering of hundreds of paintings, drawings, and archival documents, which were collected from public and private collections to explore the surrealistic work of the Belgian artist, René Magritte (1898-1967). He is know for his witty and thought provoking imagery, which depicts ordinary objects in an unusual context. By doing so he sought to challenge the viewer’s preconditioned perceptions of reality. 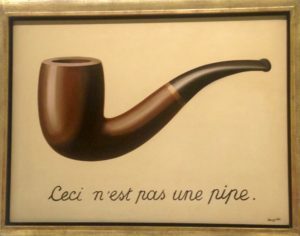 The iconic example of this concept is seen in his painting, The Treachery of Images, 1928 where he painted a pipe and then under it wrote the words, “Ceci n’est pas une pipe” (“This is not a pipe”). 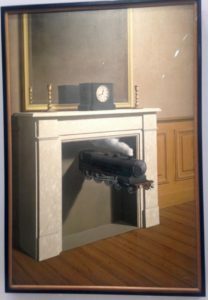 It seems a contridiction but actually is true since it is a painting and not a real pipe. His work became more popular in the 1960’s and has influenced pop, minimalist and conceptual art. 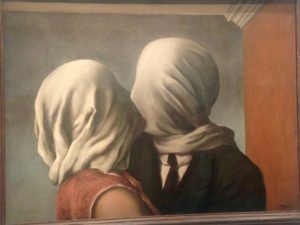 Some of the contemporary American artists who have been inspired by his work are John Baldessari, Ed Ruscha, and Andy Warhol.